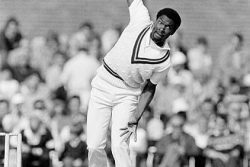 In this week’s edition of In Search of West Indies cricket, Roger Seymour looks at a seemingly minor incident that occurred during a game against a county side, early on the 1973 Tour of England. In sport, as in life, sometimes incidents occur that appear to be non-consequential at the time, others have a domino effect that can cause catastrophic changes in the immediate environs, and yet others, are like the aftermath of a stone dropped cautiously into a shallow pond; where, as it sinks slowly to the bottom, the effects are like the mild ripples, slowly spreading outwards, gradually getting wider and wider, with no apparent or visible change on the surface, until the ripples dissipate against the fringes of the pond. A ripple effect can change the structure of a team without the team even realizing that its own metamorphosis is in progress and then all kinds of permutations can develop. The 1973 West Indies Tour of England is the first link in the chain of the development of the juggernaut that the team evolved into during the late 70s, throughout the 1980s and the early 1990s. The West Indies, from March 7, 1969 to April 26, 1973, played 20 Test matches without winning a single one, whilst losing three series, and drawing the other two with the New Zealanders. 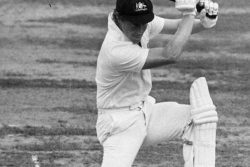 The West Indies hosted the Australians from late January to April in 1973, losing 2-0, in a series that was a lot closer that the final scoreline suggests. Rohan Kanhai had been appointed the new captain, replacing Garry Sobers who was coming off knee surgery and would miss his first series since 1954. Although Sobers had announced that he was fit enough to play, he had not been selected. On April 26, 1973, the side named for the English half-tour included only two bona fide opening batsmen, the Guyanese pair of Roy Fredericks and Steve Camacho. Also in the squad were Maurice Foster, the Jamaican middle order batsman who opened with Fredericks in the Third and Fifth tests of the Australian series, and the Trinidadian wicketkeeper, Deryck Murray who had partnered Fredericks in the second innings of the Third Test. Geoffrey Greenidge, the Barbadian who played alongside Fredericks in the other three tests was no longer in the selectors’ plans. Roy Fredericks, the diminutive and aggressive left-hander had made his Test debut in the Second Test of the 1968-69 Tour of Australia, getting scores of 76 and 47 at Melbourne, whilst opening with Camacho. Over the next 24 matches (up to the Fifth Test versus Australia in 1973), Fredericks would only miss one, the Fifth Test versus India at the Queen’s Park Oval in 1971, making the most appearances by any of the batsmen, including Sobers, Kanhai and Clive Lloyd. At home against any attack, pace or spin, the fearless dynamo had built a reputation as a swashbuckling opener, and his services had been retained by Glamorgan County since the 1971 season. Camacho, whose last Test match had been the Second Test versus India in 1971, where he had sustained a broken finger, had just enjoyed a wonderful Shell Shield Season as Guyana had notched its first lien on the Shield. His aggregate from six innings was 425 runs, at an average of 70.83 and included scores of 58, 50, 69, 144 and 98, with the latter two scores coming against Trinidad at Skeldon, Berbice. Camacho, who had made his Test debut during the 1968 home series versus England, was expected to open with Fredericks in all three matches. Several of the West Indies players were contracted for county cricket and were already in England when the team gathered at the Clarendon Court Hotel in London, on Monday, June 11. The tour began with a couple of non-first class fixtures; a drawn game versus the Club Cricket Conference at Guildford, was followed by a 124-run victory over the Indian Gymkhana XI. Rain led to no play on Wednesday, June 20, the first day of the match against Essex at Chelmsford. Fredericks (now the senior partner) and Camacho opened in both innings, as both teams declared their first innings closed early, trying to make a game – which was eventually drawn – of it. Camacho (63) in the first innings, and Fredericks (44) in the second, got decent starts. On Friday evening, the West Indians ventured down the M3 motorway for the two and a half hour drive to the south coast seaport town of Southampton in Hampshire, the traditional point of entry for the earlier West Indian touring sides who had arrived by boat, and the departure port of the famous Titanic luxury liner. Kanhai won the toss on Saturday morning and chose to bat. The visitors then proceeded to flay the Hampshire attack for 354 for 3 off 85.3 overs, with three of the four (incidentally, all Guyanese) batsmen who ventured to the crease, enjoying themselves. Only Camacho (24) failed to convert his start as Fredericks (122), Kanhai (119 not out) and Lloyd (81 run out) made substantial scores. Hampshire’s reply of 258 was built around Richard Lewis, batting second wicket down, whose 98 held the innings together. Fredericks and Camacho opened the second innings on Monday afternoon, Sunday having been the rest day. Fifteen minutes to close of play, with his score on 6, the bespectacled right hander Camacho attempted to hook – his albatross shot – one of the Hampshire opening bowlers, missed and had his cheekbone shattered. 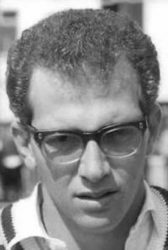 Miraculously (there were no helmets in those days) Camacho’s eyesight was not affected by the accident, and following an operation, he returned home on August 4, having taken no further active role on the tour. At the time of the incident, no one suspected the long-term consequences it would have on West Indian cricket. It was only a half tour, and there was no immediate panic for a replacement, and besides, Sobers who preferred to spend the summer playing for Nottinghamshire, had told the WICBC that he was available for the three test matches. The packed itinerary of first-class games had the tourists playing cricket six days a week. Following their 174-run win at Southampton, the West Indies lost to the D H Robins XI (their only first-class loss of the tour), and then beat Nottinghamshire by nine wickets on July 3, as Fredericks (82 not out) and Lawrence Rowe (84) added 151 for the first wicket, the latter having moved up in the lineup to fill the vacancy created by Camacho being injured. With the First Test slated for July 26-31, the West Indies looked set at the top of the order with Fredericks and Rowe. However, Rowe had torn his ankle ligaments on the first day of the Third Test versus the Australians in March, in Trinidad, didn’t bat in either innings (as WI lost by 44 runs) and missed the rest of the series. He was still suffering from the lingering effects of the injury, and was experiencing some form of discomfort after an hour or so, at the crease. Although Rowe continued to open in the county matches, it soon became obvious that he would not be available for the Test matches. A replacement had to be sought. On July 14, the first day of the match versus Sussex at Hove, Kallicharran broke a finger whilst attempting to take a catch off the bat of John Snow. Another injury, less than two weeks before the First Test. What options were available for the Tour Committee of Manager Esmond Kentish, Captain Rohan Kanhai, vice-captain, Lance Gibbs and senior player Clive Lloyd? Should the visitors send for a player from back home or seek a replacement in England? The choices in England included the two Greenidges, Geoffrey and Gordon. 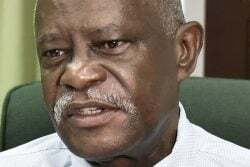 Geoff Greenidge, 25, a former schoolboy prodigy was a prolific run getter for Harrison College and had announced himself to the Caribbean during the 1967 Shell Shield season. In the match versus Jamaica at Kensington Oval, he followed up his first innings knock of 205, by taking seven wickets in Jamaica’s initial innings. 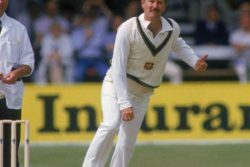 He had made his Test debut in the 1972 series versus New Zealand, and played in three of the first four Tests against the Australians. 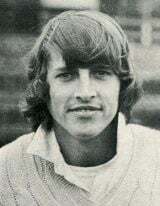 A professional cricketer with Sussex County since 1968, he was just 43-odd miles from London, about an hour away. 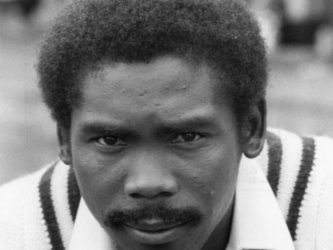 Gordon Greenidge, 23, the Barbadian-born, Hampshire right-handed opener had witnessed the entire incident from his position in the slips. He had immigrated to England in 1965 and had become eligible to play for England, but had chosen to try out for the West Indies. 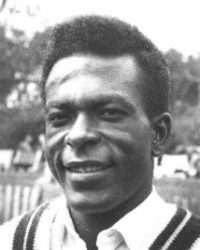 At the conclusion of the previous English summer, where he had accumulated his second successive total of 1,000 runs for the season, he had returned to Barbados to prepare for the 1972/73 Caribbean season and had opened in the four Barbados Shell Shield games, the first three with his namesake. His scores of 88 and 61 in his first first-class match at home, versus the Combined Islands were followed with innings of 10, 19, 44, 29, 49 and 4. In the match at Southampton, he had scores of 9 and 13. Ron George Alphonso Headley, son of the legend ‘Mas George’ Headley had played for the county of Worcestershire since 1958, and was very familiar with English conditions. He had only appeared for Jamaica in one tournament, the inaugural Shell Shield season in 1966. The dashing left-hander had to bear the inevitable comparisons to famous father, but was an outstanding player in his own right. After negotiations with his county, Ron was released for the rest of the West Indies tour. On July 18, he donned a West Indian cap for the first time, and opened with Fredericks against Kent at the St Lawrence Ground, Canterbury. He was selected for the First and Second Tests, and had scores of 8, 42, 1 and 11. His brief test career was over. Garry Sobers played in all three Test matches, topped the batting and bowling averages, as the West Indies took the series 2-0. Shell Shield: Camacho would miss the 1974 season. The Greenidge duo would open for their island in three of four matches. Headley opened in all of Jamaica’s games. Fredericks’ new opening partner for Guyana was the left hander Leonard Baichan. Test series: Fredericks and Rowe opened in all five Test matches against England. Tour of India and Pakistan 1974-75: The team was announced on June 20 and the three openers selected were Fredericks, Gordon Greenidge and Baichan. Rowe was chosen as a middle-order batsman. Baichan began the tour with hundreds against Indian Universities and South Zone, and was picked ahead of Greenidge for the First Test. Unfortunately, he was injured in a car accident the day before and Greenidge got his chance. He made 93 run out and 107 on his Test debut. Greenidge hurt his back whilst keeping wicket in the Fifth Test versus India, and Baichan made 105 not out in the second innings of the First Test in Pakistan, his Test debut.